What is it that makes so many young students/musicians begin playing cello? The most common answer is the sound, but also important is the aesthetic visual beauty of the instrument. Alongside the look and the sound, there is the social attraction of making music together, and the wealth of great cello repertoire spanning many centuries. Playing cello to a competent level, as is the case with most other instruments, will take a certain amount of commitment both from the student and their parents. A competent teacher will soon evaluate the potential of any student, and can then advise accordingly. In the course of time, playing the cello can become more time consuming and may even become a way of life for some students as they experience real quality and achievement in their music making. From grade six to eight Associated Board or Trinity and beyond, might possibly be the turning point where desires and aspirations may develop into something more permanent in the pursuit of quality cello playing. 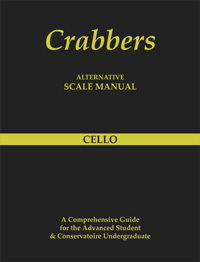 How to play the cello well will depend on a number of factors: starting at a sufficiently young age: having the finance to buy suitable instruments and bows: having the means to pay for regular lessons: having the opportunities to play with other musicians: being able to devote sufficient time to practicing on the cello. These factors will all be major elements in deciding whether the student plays the cello mainly as a hobby, or at the other end of the spectrum, has the desire and ambition to play the cello professionally, at which point, cello playing will become a major focus of their life. This decision to play cello or not to play cello professionally, particularly in the current economic climate is not one to be taken lightly.